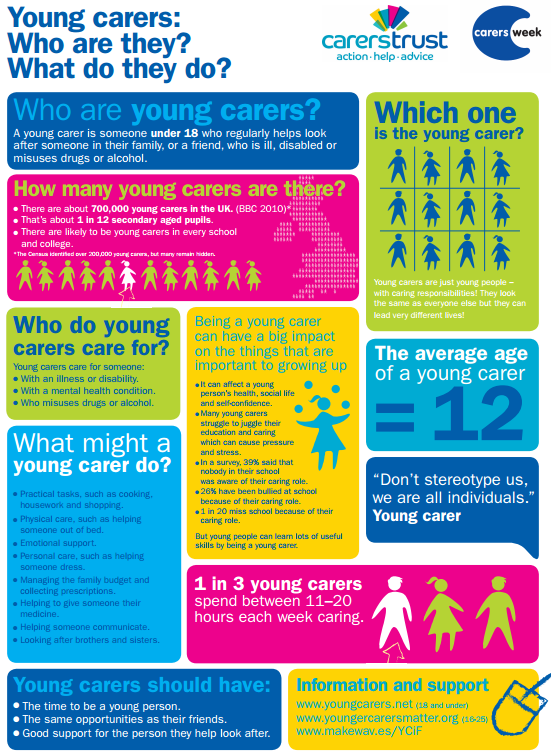 This week is Carers Week, and on Friday 13th the focus will be on raising the awareness and identification of the 200,000-plus young carers in the UK and the importance of supporting young people with caring responsibilities, especially in schools and colleges. In our latest blog, Dan Parton highlights the crucial role all carers play and argues that the scandalous level of Carer's Allowance must be addressed. The below infographic illustrates the growing number of young people who have to become carers and how the role impacts on them. Click here to see it full on our Pinterest board.